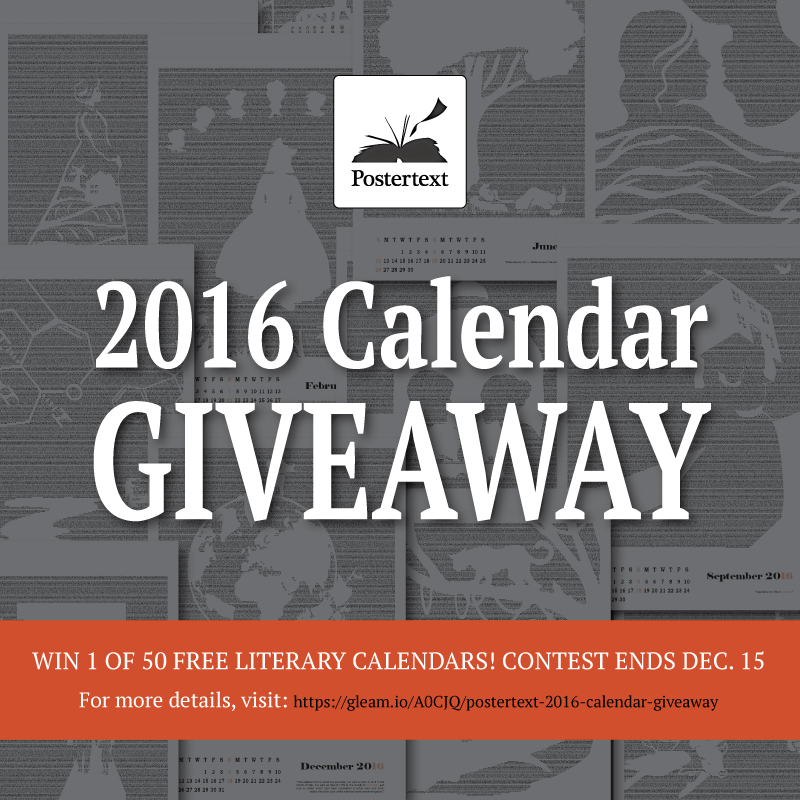 Don't miss this great giveaway from Postertext! 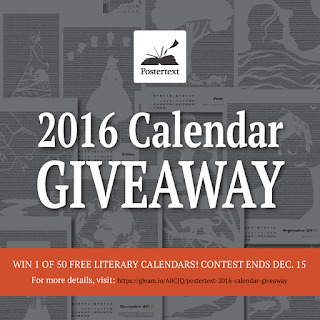 I'm so pleased to be featuring a giveaway for the 2016 Calendar for Postertext. 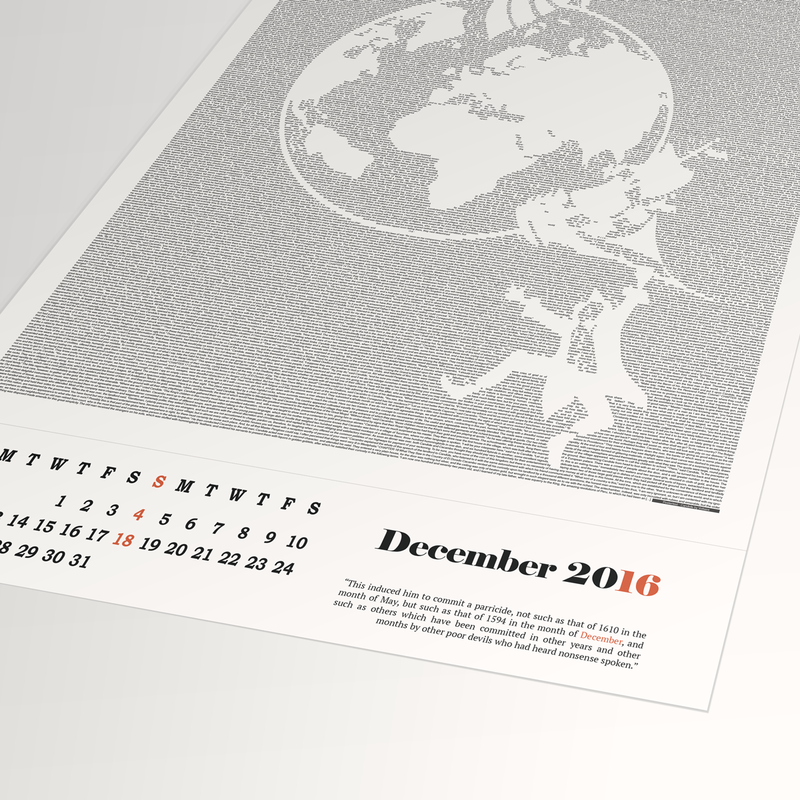 From the philosophy of Thomas More to the exceptional jungle-themed prose of Rudyard Kipling, the 2016 Literary Poster Calendar inspires and delights with twelve stunning images representing some of literature’s most enduring works. Designed using only the words of each classic text, these original pieces of art serve a dual purpose as both a month-long reminder of each author’s exceptional masterpiece, and thanks to perforated edges for easy removal, a stand-alone work you can display on your wall in perpetuity. The Literary Poster Calendar’s diverse and invigorating selection of included works makes the passing of each month a chance to discover one of literature’s great pieces all over again. 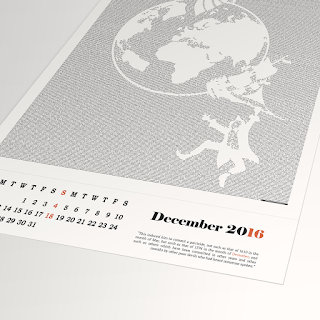 Perfect for the bibliophile or casual reader alike, the incredible artwork featured throughout this one-of-a-kind calendar is guaranteed to make 2016 a year you’ll never forget. You can visit the Facebook. Or directly on this page.